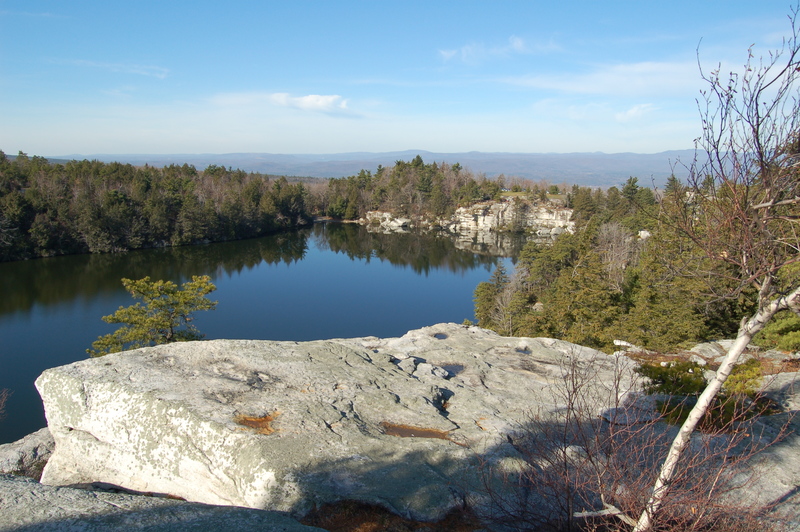 Not far from our house are several magnificent “sky lakes” — an intriguing name for bodies of water perched high among the complicated conglomerate geology of the Shawangunk Ridge. This weekend, taking advantage of the spectacular warm late November weather, we visited Lake Minnewaska State Preserve, home to several such sky lakes, as well as waterfalls and numerous hiking trails. The park was crowded with lots of families and tourists, but we were able to quickly escape the herds by veering off the wide, gravel carriage paths and onto true hiking trails. 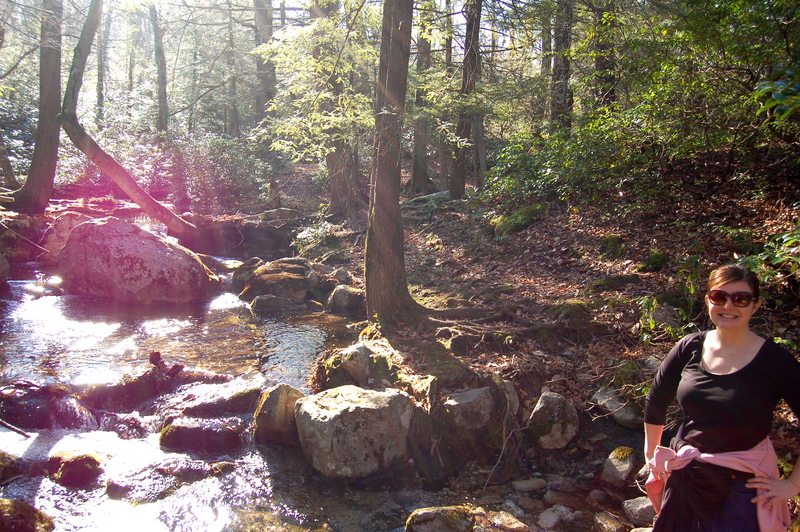 We hiked to Milbrook Mountain, first passing by Lake Minnewaska, then veering down through a rhododendron/mountain laurel grove. It was about 6 miles total. While not nearly as remote as hiking sites in the lower ‘Gunks, nor as nature-filled (we mostly saw squirrels), it was still, of course, gorgeous. New York the state has really grown on me as a place of underestimated beauty. You wouldn't know it by looking at this photo, but we were surrounded by people at the lake, which is easy to access for families/tourists looking for a quick pretty view. 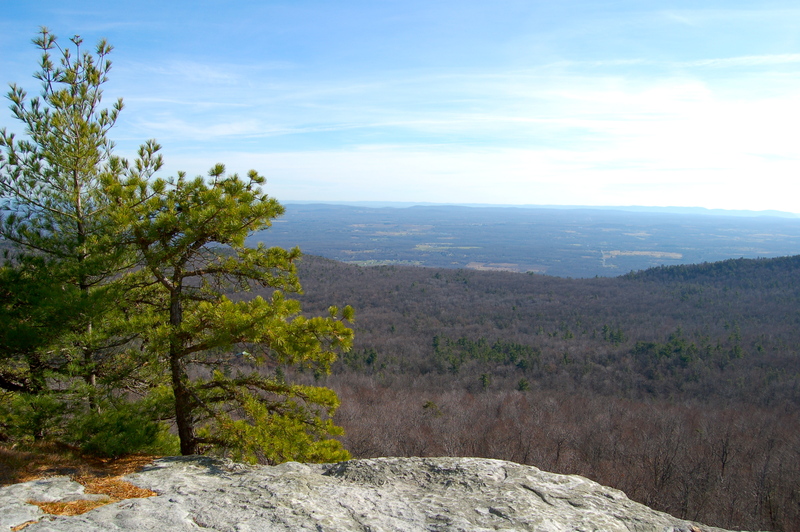 A vista from Milbrook Mountain trail in Minnewaska State Preserve. This was the half-way point on our hike and we're looking east over the Hudson Valley here. Me by a stream. Don't ask me what the weird pink light is -- gonna chalk it up to sunlight trying to complement my sweatshirt. Love these photos! It gives such a different perspective of New York. Hi Joy, I really like your blog and wow Lake Minnewaska State Preserve is so beautiful, I can’t believe this is in NY! I’ve been several times, and was not aware of this jem. I’ll have to add that to my list of places to go. It looks like an inspiring place to get lost and write as well….Happy Holidays!